Given the brutality of mass atrocities, it is no wonder that one question dominates research and policy: what can we, who are not at risk, do to prevent such violence and hasten endings? But this question skips a more fundamental question for understanding the trajectory of violence: how do mass atrocities actually end? 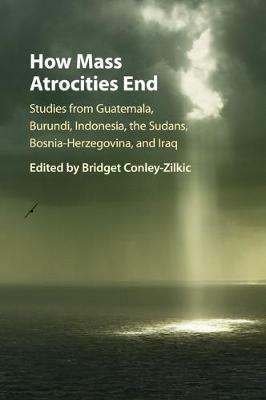 This volume presents an analysis of the processes, decisions, and factors that help bring about the end of mass atrocities. It includes qualitatively rich case studies from Burundi, Guatemala, Indonesia, Sudan, Bosnia, and Iraq, drawing patterns from wide-ranging data. As such, it offers a much needed correction to the popular 'salvation narrative' framing mass atrocity in terms of good and evil. The nuanced, multidisciplinary approach followed here represents not only an essential tool for scholars, but an important step forward in improving civilian protection. "Kill The Black One First"